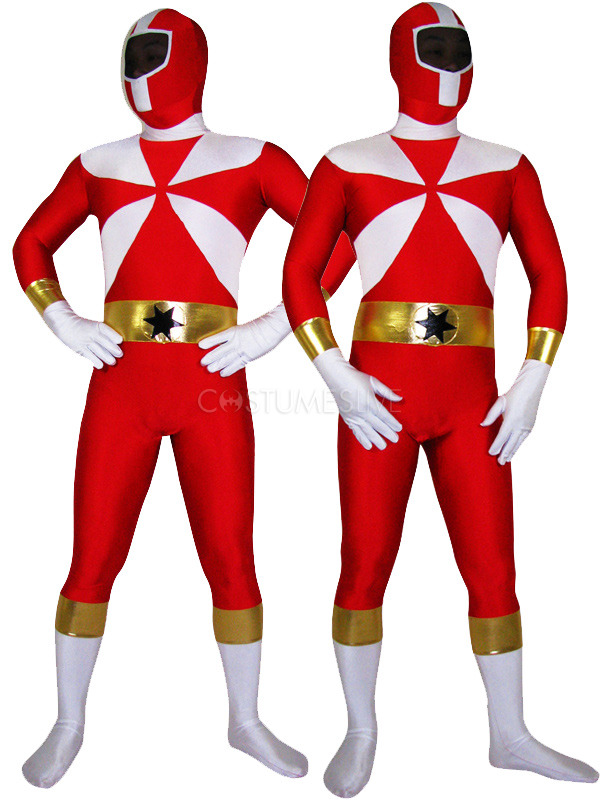 Zentai suits are popular costumes among dancers, acrobats and other theatrical performers. Alternately, they are also used in many situations of adult lifestyle roleplay. 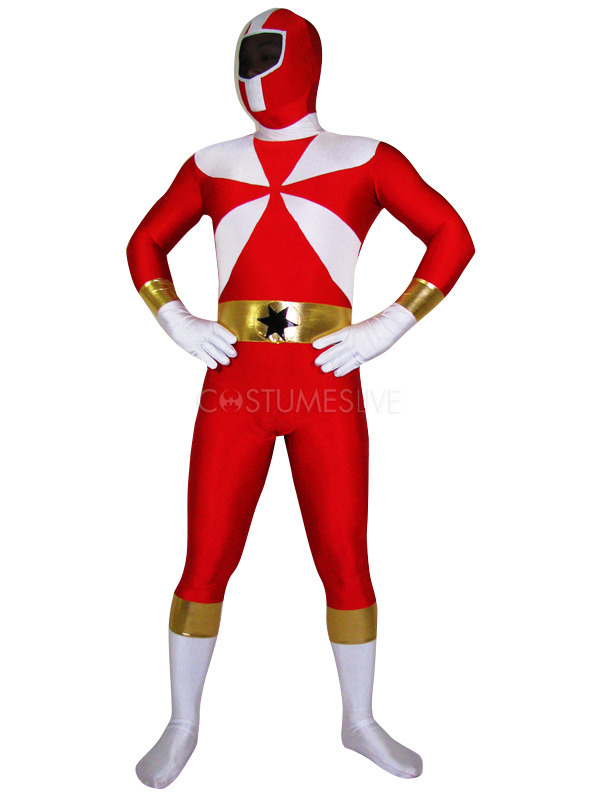 This Zentai suit is made from Lycra and Spandex in a red and white design and is embellished with gold accents on the sleeves, midsection and legs. The stretchiness of the fabric ensures a form-flattering fit that won't bunch up or sag when worn. It is a semi-inclusive Zentai suit, meaning it covers all parts of the body, except the head. This one is footed so shoes are not needed with this suit. A very versatile piece that could be used for roleplaying or theatrical/dance production. 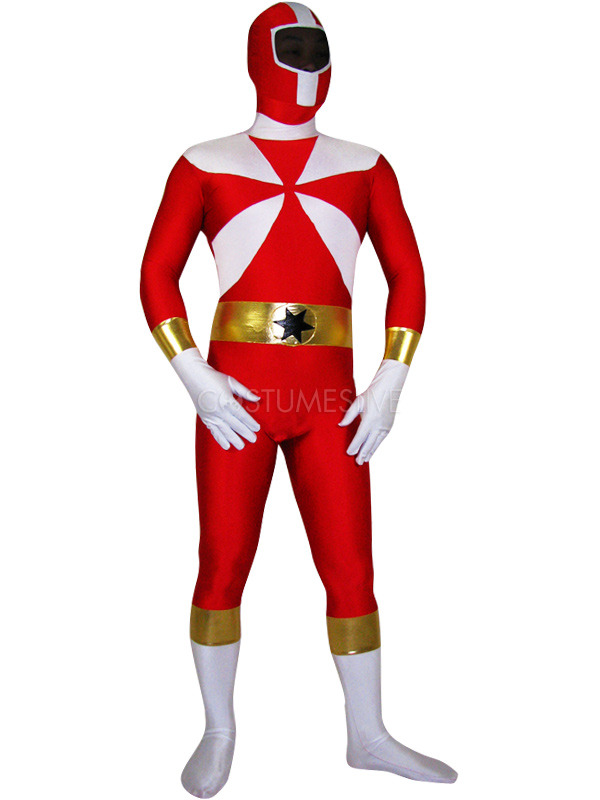 Power Ranger fans, especially, will find this costume useful because it very much resembles the costumes worn by their favorite characters! -Custom alterations are available on this product for an additional fee. Hola amigos, me interesa este disfraz pero mi duda es cuando podria recibirlo en mi domicilio? soy de cerca de Barcelona(08800), ya que tendria que tenerlo el 15 de febrero, podria conseguirlo? Muchas gracias y espero respuesta. Un saludo.